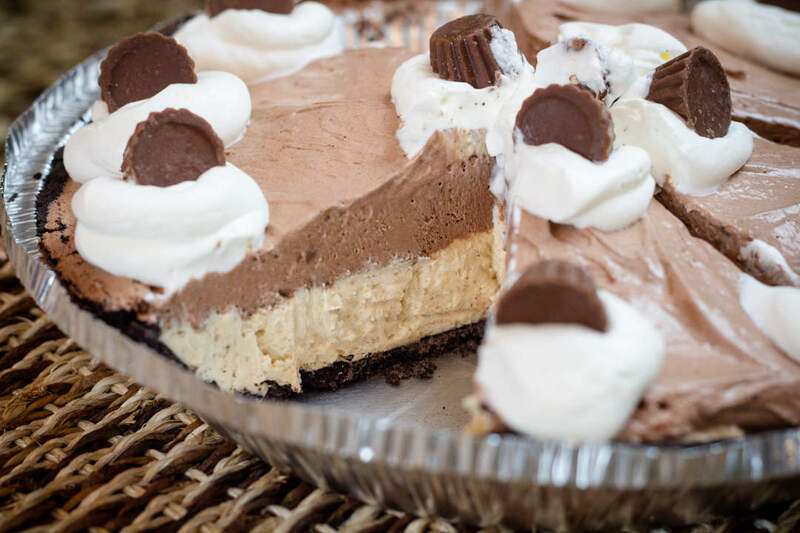 Chocolate Peanut Butter Pie is a no bake pie that whips up in a few minutes. 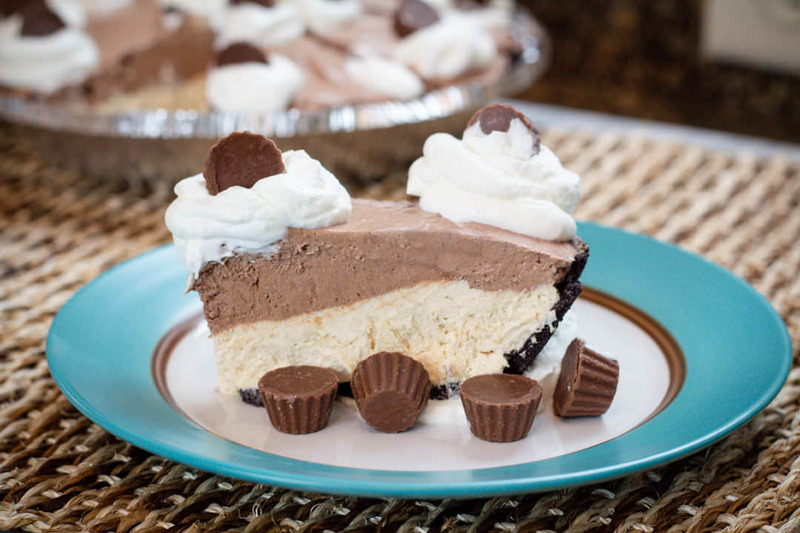 We love the balance of chocolate to peanut butter in this cheesecake pie. 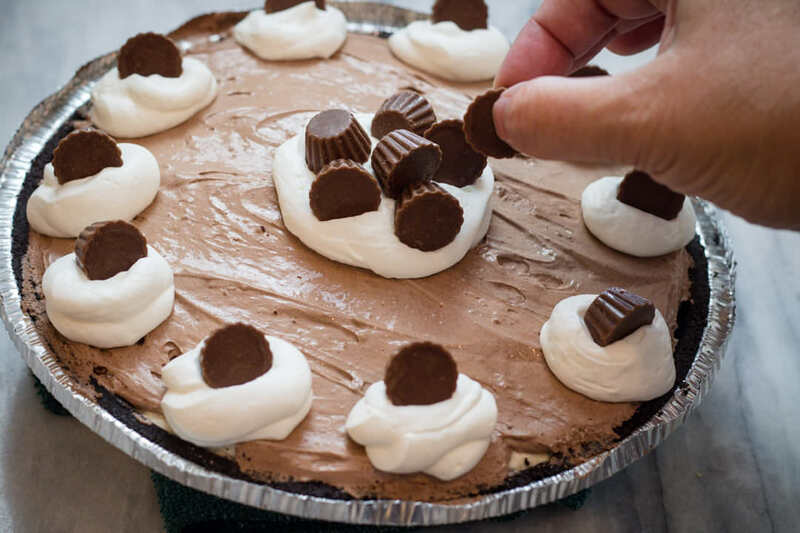 Chocolate and Peanut Butter are a great combination, This No Bake Chocolate Peanut Butter Pie will make you come back for more. A cheesecake style pie, that whips up in just a few minutes and is a great addition to any meal. 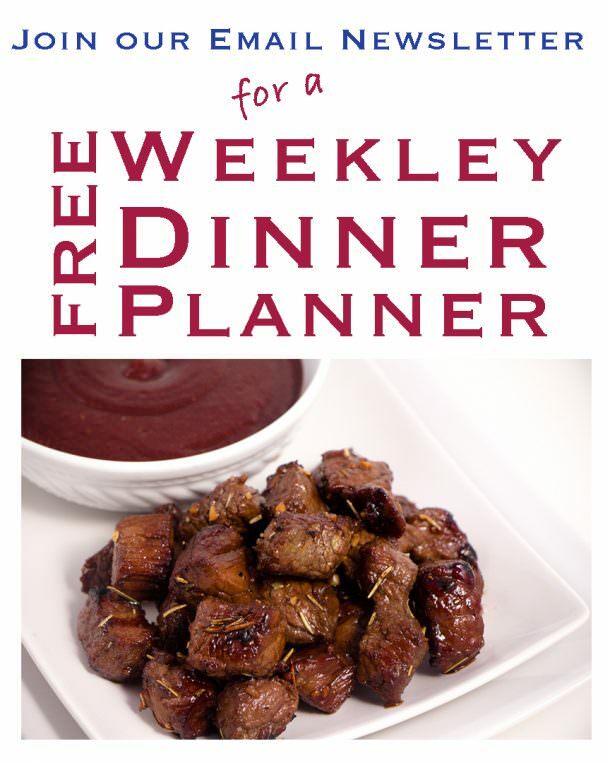 Need a great dessert recipe but don’t want to spend a lot of time in the kitchen? 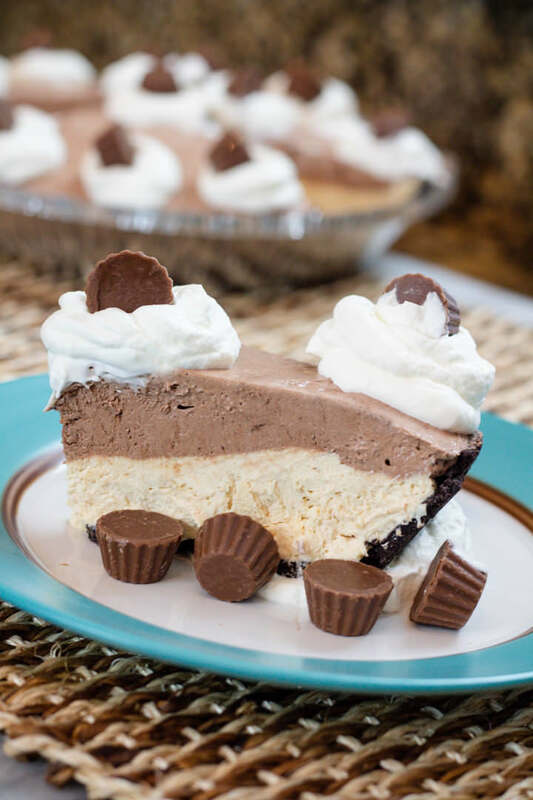 Chocolate Peanut Butter Pie is a perfect go to recipe. I’ve taken this pie to the office for “Pi” day (March 14th) and it was a huge hit. I’ve also served this pie during the holidays and it’s one of my family favorites too. What is a No Bake Pie? 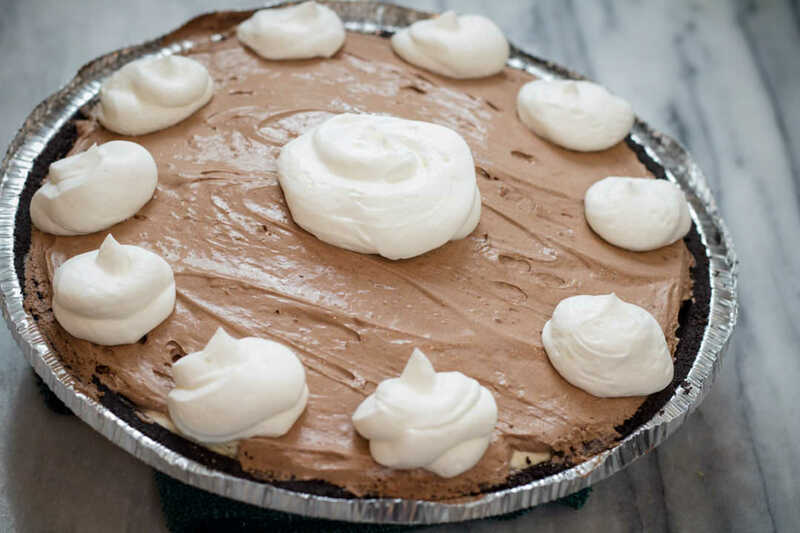 A No Bake Pie, is a pie that you do not need to bake to prepare. 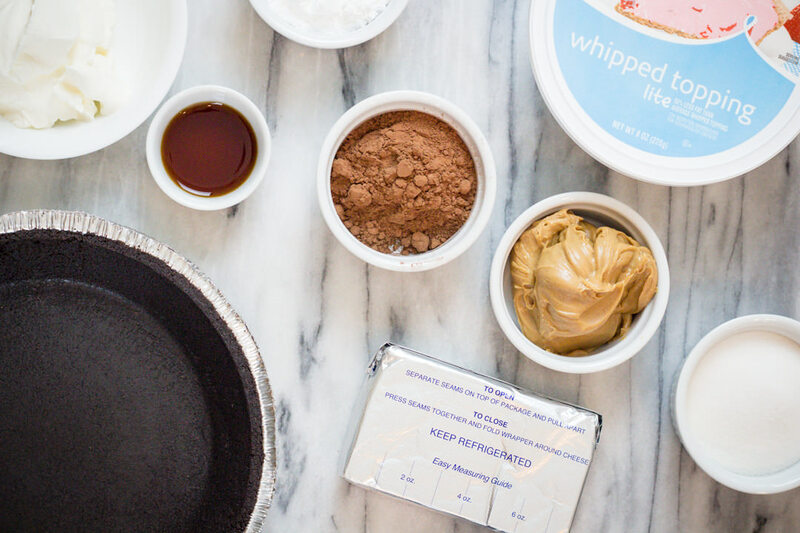 Typically made with whipped topping and or cream cheese to create a nice smooth texture. 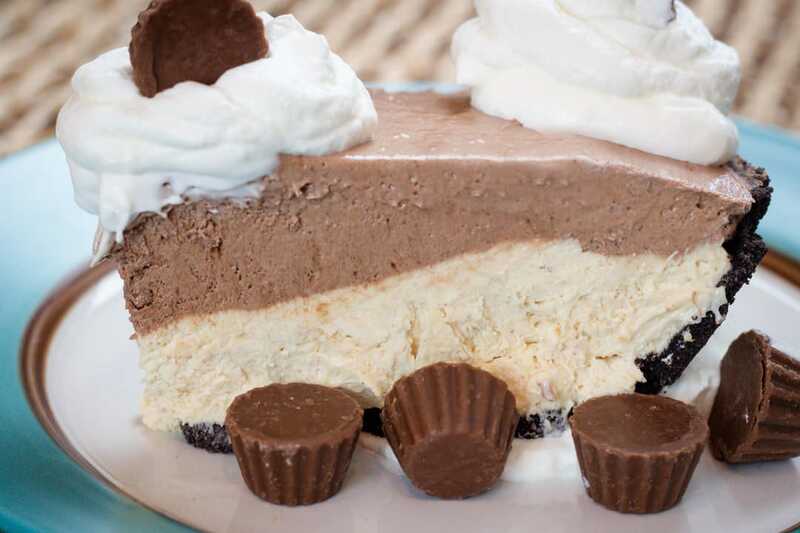 Are Chocolate Peanut Butter Pies made with OREOs? Yes, they can be. The crust is a chocolate cookie crust. I have used a pre-made crust from the store. 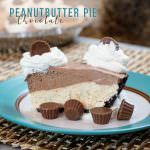 Do I need a big mixer to make Chocolate Peanut Butter Pie? No, you do however need a hand mixer to mix the first few ingredients. A hand mixer will make a smooth texture. 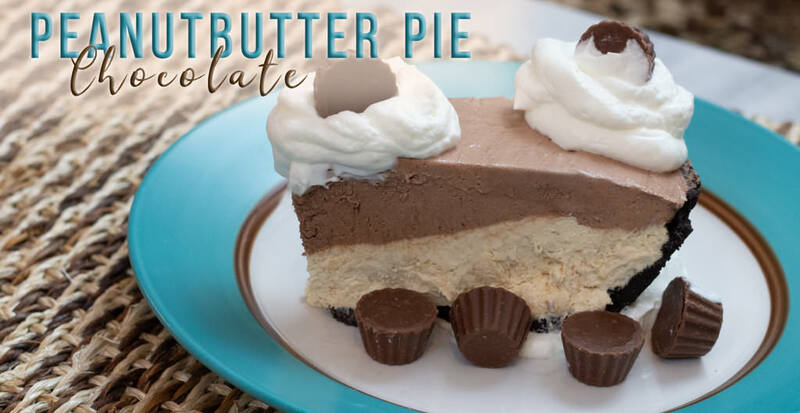 If I don’t want chocolate can I make the entire pie Peanut Butter? Sure! You can always make your own variations. 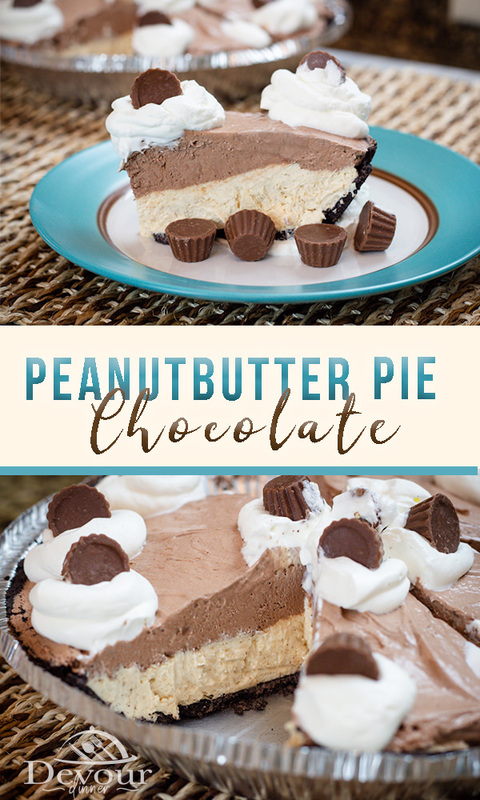 In this case, you would want to add a little more peanut butter than the recipe calls for and omit the cocoa powder and mix all the ingredients in one bowl. Can I layer my pie any way I wish? Before serving, take pie out of the refrigerator for a few minutes and slice with a hot clean knife to get perfect cuts. In a medium bowl combine softened cream cheese and sugar. Add sour cream, vanilla and mix. Fold in whipped topping. Remove from refrigerator a few minutes prior to serving. Garnish with whipped topping and chopped up peanut butter cups. Add sour cream and vanilla and mix to combine. In 2nd bowl add 2 tbl powered sugar and cocoa powder and stir to combine. 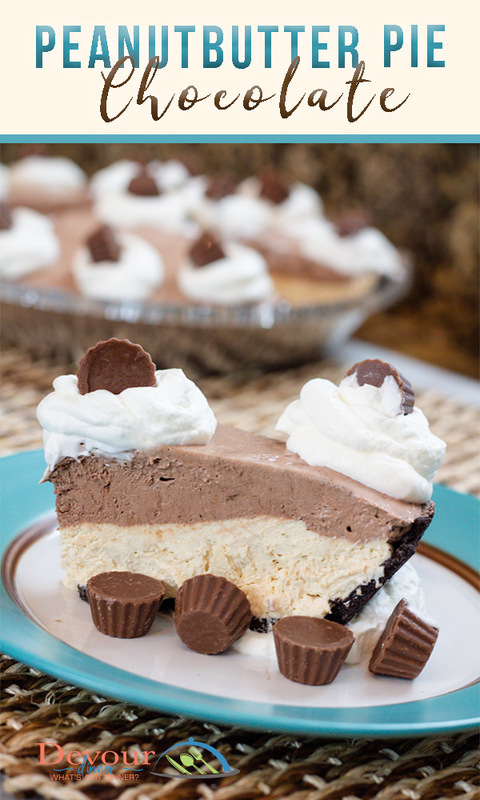 In a prepared chocolate pie crust spread peanut butter cream cheese mixture on the bottom of pie crust. Top with Chocolate cream cheese mixture and spread evenly. Cover and place in refrigerator for 6-8 hours. Slice and enjoy. Pie should be kept in refrigerator to store.